In search of the best wireless charger for iPhone and Android phones? We've got you covered! Wireless chargers often have a bad rap for charging phones extremely slowly, but that's actually not the case anymore. Wireless charging was slow just a couple of years ago, but since big name manufacturers started adding wireless charging to their phones, wireless charging technology has increased exponentially. Now, you can set your iPhone and Android phones on a wireless charging pad or stand, now charging up your devices at similar rates to cables. Our favorite wireless charger is the Anker 10W fast charging wireless charging pad. Where are the wireless chargers that do this though? A quick search through Amazon might show you a massive list of choices that all seems great, but there's one problem -- they make big promises, but only end up disappointing. That's why we've done the research for you. Below, we're showing you fifteen of the best wireless chargers for iPhone and Android phones. Not only will you be able to rely on these wireless chargers that you can rely on for reliable and quick charging, but you'll be able to trust and use them for future devices as wireless charging technology continues to expand. Who are wireless chargers for? How do wireless chargers work? How do I wireless charge my phone? What do I need to charge my phone over wireless? Does the phone get hot? Can wireless charging be interrupted? What about wireless car charging? 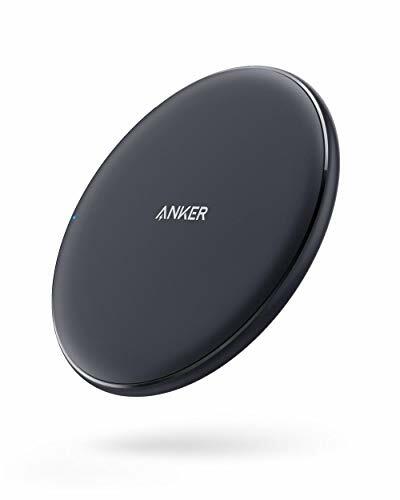 Anker's Wireless Charging Pad is one of the best on the market today, offering wireless charging for any phone and device that supports the Qi-wireless charging standard. This one won't provide you slow charging, as it features a fast-charging chipset designed to deliver up to 10 watts of power to Samsung Galaxy devices. iPhones specifically get a boosted 5 watt charge rate, which is 10% faster than other wireless chargers today. Of course, wireless chargers aren't just all about charging speeds. Anker's Wireless Charging Pad actually has a grippy, non-slip surface, which keeps your iPhone and Android phones from slipping off and falling on the floor during charging. That's a problem that you'll find on many cheap wireless chargers of which Anker has managed to avoid. You can also forget about fumbling around with cases on your iPhone and Android phones. Even if you have a thick case on your iPhone or Android phones, Anker is still able to deliver that quick charging uninterrupted. And you can forget about problems, defects, or simply not wanting the wireless charging pad anymore (at least, within a reasonable time frame). Anker not only offers easy returns, but they give each buyer an 18-month hassle-free replacement warranty in case you come across any problems. Anker makes buying their Wireless Charging Pad essentially risk-free! The Anker Fast Wireless Charging Stand has some of the same technology in it as their own Wireless Charging Pad; however, it's designed differently to accommodate different needs. The pad is a style that you have to set your phone down flat to charge, but with the Charging Stand, you can keep the display facing you so that you can still monitor notifications and calls while getting a quick charge. It's perfect for charging at the desk or even in the kitchen while you're cooking dinner. 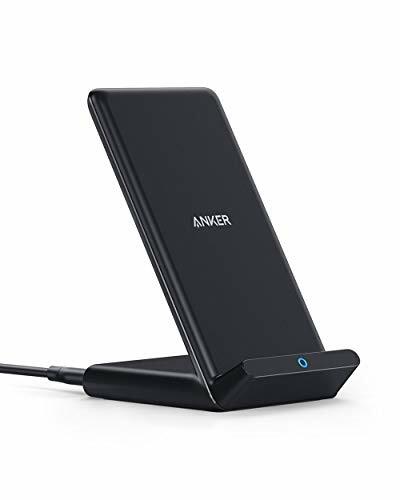 Anker has a high-efficiency chipset in their Wireless Charging Stand, able to deliver up to 10 watts of fast charging power to Samsung Galaxy devices. The chipset can deliver up to 5 watts of boosted charging power to the iPhone -- that's 10% faster than other charging devices. The Anker Fast Wireless Charging Stand is unique because you can actually flip it into landscape mode, allowing you to charge an iPhone and Android phones while giving you comfortable viewing for watching videos and media. That said, the portrait mode is more ideal for managing messages, phone calls, and even using facial recognition. Anker has made sure that you don't have to fumble around with existing cases on your phone either -- case or not, this charger provides you with fast, uninterrupted charging. Anker's Fast Wireless Charging Stand is essentially risk-free. Don't like it? Return it and get your money back! It also comes with an 18-month warranty, providing you with hassle-free replacements in the event of problems with the charger. The Samsung Fast Charge is an excellent runner up as a great wireless charger for iPhone and Android phones. Yes, even though it's Samsung branded, it will work with any device that supports the Qi wireless charging platform, even the latest Samsung Galaxy S10 and iPhone XS devices. Samsung's Fast Charge wireless charger delivers fast wireless charging to most Samsung Galaxy flagship devices, charging them up as fast or faster than traditional charge-by-wire delivery with up to 9 watts of power. It provides standard charging speeds to devices that aren't a Samsung Galaxy flagship. One of the neat features of the Samsung Fast Charge is that it has a multi-colored LED to indicate the charging status -- i.e. different colors for a phone with low battery, for charging in process, and for charging complete. This is a fast charger, which usually means that it runs hotter; however, a quiet cooling fan on the back keeps both your phone and charger at cool temperatures. Samsung's Fast Charge wireless charger is probably one of the more modern and sleeker appearing options on the market, allowing it to easily blend in with any environment. It can actually be a nice looking addition to any home or office. Like Anker, Samsung allows you to return these hassle-free if you simply don't want it. On top of that, they provide a 1-year warranty to keep your protected against any defects. Buying this wireless charger is nearly risk-free! Belkin might seem like they have their hands in every industry, but power products are definitely their bread and butter. That said, the Belkin Boost Up, created in partnership with Apple, is an excellent Qi wireless charger. The Boost Up is actually specially designed for the iPhone XR, iPhone XS, and iPhone XS Max. It's able to deliver up to 7.5 watts of fast charging power to these smartphones, bringing your devices from dead to full in a jiffy. Since the Belkin Boost Up does run on the Qi charging platform, it will work with all other Qi-supported devices. Simply set any Qi-supported phone on the Boost Up, the Boost Up goes into universal compatibility mode, and then provides that charging power for that device. Support for phones with cases is here, but only to an extent. Belkin says that you'll still get uninterrupted charging through phone cases, but it must be a lightweight case that is 3mm in thickness or less. Belkin, like the others, will allow you to return the Boost Up if you don't like it; however, they also include the longest warranty yet -- a 3-year warranty that protects you against any defects or malfunctions. These four are easily some of the best wireless chargers on the market today, although you'll find the best charging quality and reliability in the two Anker options. However, before we show you our other 11 favorites, it's important to understand who wireless chargers are for, how they work, factors that affect wireless charging, and everything else you need to know about wireless charging! Let's face it: wires are only getting progressively more annoying and even cumbersome. It's frustrating keep track of the cables, and even more so if you actually lose one. That's why wireless chargers are so nice -- they're large enough where you just can't lose them, and they generally stay in one place, so you always know where they are. So if you want to ditch the annoyance that comes with cables, the best wireless chargers are an excellent replacement. Now, if you're on the go a lot, you may not get as much value out of them as you might hope. Wireless chargers are pretty stationary, and aren't portable at all. So if you're in the car or travel a lot, you might be better off sticking with cables. And finally, best wireless charger really are exclusively for phones that support Qi-charging. Some devices don't come with that Qi-charging support, and therefore, a wireless charger just won't work. You can usually check if your phone supports Qi charging in your phone's user manual, or by consulting Google. Wireless charging on the forefront may sound complicated; however, it's actually quite a simple process. Wireless charging works by transferring energy from the charger to a receiver inside the phone. It's the same concept as charging-by-wire; however, the energy is actually transmitted via a electromagnetic field, which is where the "wireless" portion comes in. The receiver coil in the phone then takes that energy, and then converts it into electricity that is then pushed to your phone's battery. It's a fairly simple process known as inductive charging. The only requirement is that you have a best wireless charger and your phone has Qi charging support. Then, your phone simply has to be in close proximity to the wireless charger -- i.e. sitting on the wireless charger -- for charging to begin. Since wireless charging is designed to bring you, well, charging without a cable, it's actually easy to wireless charge your phone. You simply set your wireless charger on the wireless charging pad or stand. Charging should begin almost instantly, or as soon as the device is recognized. Technology, however, isn't perfect, so sometimes you may need to take your device off the wireless charger and then set it back down for the phone to be recognized. To charge your phone over wireless, you need a phone that supports Qi-charging, as we mentioned earlier. Almost any latest flagship phone is guaranteed to support Qi charging these days; however, it's always best to consult Google in order to make sure the phone that you're buying does indeed have Qi support. Some of the phones that include this type of charging include the Galaxy S10, Galaxy S10 Plus, iPhone XS Max, iPhone XS, iPhone XR, and even the LG V40 ThinQ. There are plenty of other brands that support wireless charging as well, including HTC, Sony, and even Huawei. Next, you'll need a Qi wireless charging pad. You don't want to buy just any wireless charging pad, as you don't want to get something faulty or a brand with a poor reputation. Good wireless chargers sit at a range of different price points, for as low as $20 to all the way up to $120, and sometimes more. Once you receive your wireless charger, you'll need to plug the included cable into the wireless charger, and then into a nearby wall outlet. Once plugged in, you can simply set any Qi-supported iPhone or Android phone on the charging pad. Wireless charging, especially fast wireless charging, can produce a ton of heat, heating up not only your smartphone, but the wireless charging pad itself as well. 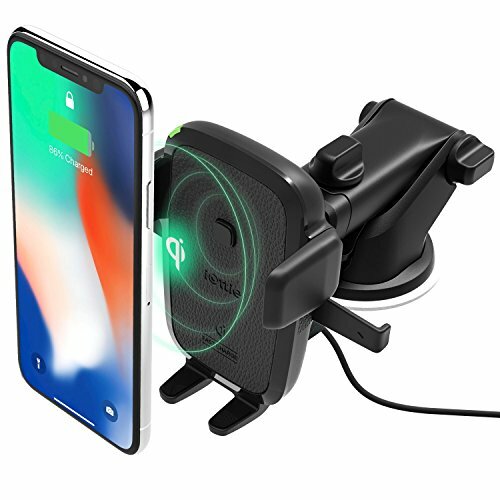 In many cheap wireless charging solutions, there isn't a way around this; however, upgraded models are coming equipped with automated cooling fans to keep not only your phone cool, but the charger as well. This helps preserve the life of your phone and wireless charger. and actually keeps it cooler than most charge-by-wire solutions. Heat generally isn't something you'll have to worry about. Most smartphones increase in heat when being charged by cable, as we already mentioned. However, if you feel that it gets too hot, it may be something to worry about, as phone batteries have not always been perfect, such as in the case of the fiasco with the Galaxy Note 7. As with everything, there must be some cons, right? With wireless charging, there are a few, but none that would necessarily damage your smartphone. The biggest drawback to wireless charging is that wireless charging cannot be done through phones that are made out of metal. As such, phones that have wireless charging capabilities are made out of plastic or glass. That makes your phone a whole lot more fragile, increasing the need for a heavy duty case. Of course, if a case is too thick, wireless charging may not work. It all depends on the type of wireless charger you have, but some have trouble recognizing the receiver coil in your phone if a thick case is covering it up. Check your wireless charger's specifications, as they should be able to give you specifics on case size support. Most wireless chargers will work with thin cases up to 3mm in thickness. There are actually a number of things that can interrupt the wireless charging process, and it mostly comes down to safeguards built into the wireless chargers. For example, with heat detection, many wireless chargers, as a safety precaution, will stop the charging process if heat reaches a certain threshold. Some wireless chargers even have something called "foreign object detection." If the wireless charger detects anything other than the smartphone on the charging pad -- say, a Lego or some other item -- charging is immediately stopped for the protection of the smartphone and charger. As we mentioned earlier, cases can be another one that interrupts wireless charging. If your case is too thick for your wireless charger, you may find that the inductive charging process is fairly sporadic because it's having difficulty recognizing the receiver inside your smartphone. Sometimes wireless charging won't work if your device isn't in the correct position. Wireless chargers don't generally require a specific phone orientation, but if the phone and wireless charger aren't lined up properly -- i.e. the position of the receiver coil in your phone isn't directly on the charger -- charging won't even be recognized, or will be sporadic. Wireless charging can also be affected because of software updates. Regular apps are even more intertwined with the actual system today, and so, if an app isn't on its latest version, wireless charging could prove to become sporadic or experience errors. You'll want to make sure that all of your apps are always up to date when using wireless charging, and you'll especially want to make sure that you're always on the latest firmware updates. One of the fears that people have when it comes to wireless charging is if it'll be slower than your traditional charge-by-wire methods, or if you'll get some of the same speeds as charging by wire. That's a loaded question that isn't necessarily easy to answer, because it all depends on the hardware packed into not only your smartphone, but the wireless charger itself. If you're using a Samsung Galaxy device, such as the new Samsung Galaxy S10 or Galaxy S10+, along with a Samsung Fast Charge Wireless Charger, you'll get fast charging speeds similar to that of charging with a USB-C cable. However, if you use a Samsung Galaxy S10 with a wireless charger that doesn't mention fast charging speeds, you could very well get speeds that are slower than charging over wire. If you're using an average device -- say the mid-range K50, which isn't designed for fast charging -- you'll get average charging speeds, which are generally slower than charge-by-wire, since the inductive quick charging isn't taking advantage of proprietary charging technologies like Quick Charge 3.0, whereas cables do. Some wireless chargers are only made to provide fast charging to some devices on the market. 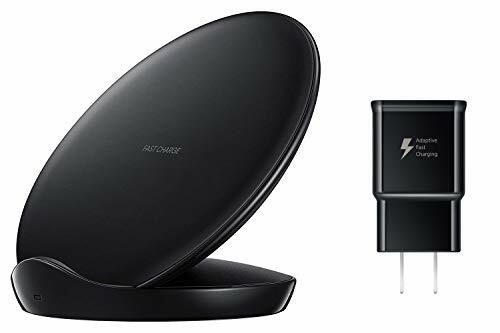 For example, the Samsung Fast Charge Wireless Charger will only deliver fast charging power to Samsung Galaxy devices, but not an iPhone XS or an LG V40 ThinQ. You'll get standard fast charging speeds with those. The general rule is that, if you want fast charging with an LG phone or a Samsung phone, you need to buy a wireless charger from that manufacturer specifically. Any other branded charger will only give you average charging speeds, which can be slower than charging by cable. That's not to say that other brands in wireless charging are bad -- they work great, and some often even have their own type of fast charging in, and come at a cheaper price point. Ultimately, it all depends on the money that you want to spend and the device that you own. There's just so many factors to tell you for certain. It all depends on the hardware that you're running. Do some research on the phone you have, the type of wireless charging it has, and the wireless charger that you plan to buy. If you do it right, yes, wireless charging can be fast, if not faster than traditional charge by wire charging. But, if you do it wrong, it can definitely be slower as well. Of course, it's also important to know whether or not wireless charging is dangerous. The short answer is that it isn't. However, it does depend on the type of wireless charger that you pick up. If you're buying an off-brand, no-name charger that doesn't have a recognizable or reputable brand, you might want to be extra careful when it comes to charging. This is because they might not have the safety features built right into the circuitry to prevent things like overheating, overcharging, foreign objects, and more. Good wireless chargers like the Anker Wireless Charging Pad and Anker Wireless Charging Stand, as well as the Samsung and Belkin, have special chipsets built into the circuitry to prevent electrical faults. That keeps not only your phone safe from harm, but your wireless charger safe from harm as well. 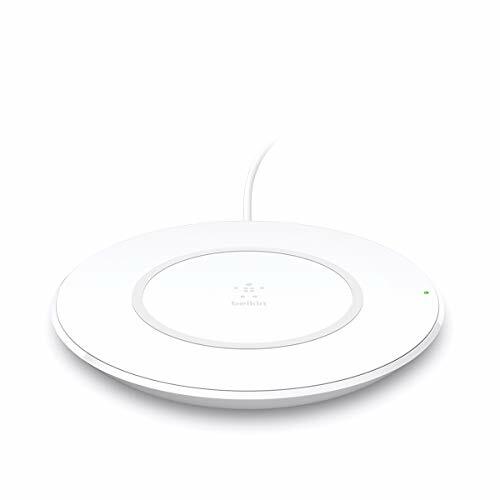 Wireless chargers like the Belkin are particularly nice because they bring an extra layer of safety to the table in the peace of mind department. With a $2,500 Connected Device Warranty, they pay to replace your phone, the wireless charger you were using, and generally any object around that was damaged because of fault in a wireless charger. They've got their own skin in the game, which helps you know that that wireless charger is safe -- after all, they're putting their own money upfront here. Wireless charging and the future? The big question everyone is asking is if wireless charging is the future. The answer is a resounding yes, but there's a little more to it than just that. Convenience like wireless charging is definitely the future, and with recent advancements in inductive charging, we see how it can be just as quick if not faster than traditional charge by wire methods. However, there's one problem that's being worked on: universal compatibility. All phones comes with a USB port of some sort -- micro-USB, USB-C, and so on. Since all phones have a USB port of some sort, all phones can be charged through a USB cable. Unfortunately, not all phones have inductive charging built-in. Only the flagship phones seem to get this technology, which leaves many of the mid-range and budget phones in the dust in terms of wireless charging. The charging standard, for now, is charging over a USB cable; however, as inducting charging technologies get cheaper and more commonly used, we may see it more widely adopted to the point where it can be the new standard. As it stands right now, even though many flagship phones already have Qi compatibility built in, there's still a fairly small group of people that have yet to use wireless charging over charging by wire for one reason or another. And there's still a problem that innovators are trying to figure out -- wireless charging is extremely poor in vehicles. Ultimately, the world is headed towards wireless charging as the "new" charging standard. However, adoption is extremely slow, and might take years before we're fully at that point. We showed you four of the best wireless chargers for iPhone and Android phones earlier, but now we're going to show you our top pick, as well as plenty of other good wireless charger options that you can rely on. These will bring you average to fast charging -- depending on your device type -- and have all sorts of safety features built in to keep your phone safe from harm. Let's get started, shall we? The Anker Wireless Charging Pad is our favorite wireless charger for iPhone and Android phones. It works flawlessly with both operating systems, and is a versatile device in terms of charging. What we mean by versatility is that it can charge any phone that has Qi capabilities. It provides fast charging for Samsung Galaxy devices, and Boosted charging for iPhone devices. If your device doesn't have fast charging, not to worry -- Anker still provides you with decent wireless charging speeds that is competitive to traditional charge by wire methods. One of our favorite aspects of the Anker Wireless Charging Pad is that it's sleek. It has an excellent design, which is something that you don't find in many wireless chargers today. The surface itself is a sleek black, whereas the ring around it is a light black, possibly a very dark blue. It provides a nice contrast. And as you might expect, Anker has thrown a handful of safety features into the wireless charger to prevent electrical faults that might harm the charger itself or your device. One of the unique aspects here is that the Anker Wireless Charging Pad is actually able to deliver fast wireless charging, even through cases. Just make sure that your case doesn't have anything metallic on it, as that can interrupt your wireless charging abilities as well. We have the Wireless Charging Station next, which is quite a unique option. This one isn't your standard wireless charger in that it's able to charge multiple devices. It's a fairly large "charging station." This is because that, on the left side of it, you can charge up your Qi-compatible phone. On the left side, you're able to charge up Qi-based headphones, such as AirPods, and even your smartwatch, such as the Apple Watch or, say, the Galaxy Watch. The Wireless Charging Station is trying to move charging forward with this one. They're trying to bring you charging that can juice up your devices as quickly as possible, and without harming your devices. This one is able to allow you to safely charge your devices as well. One of the neat things that this Wireless Charging Station does is eliminate radiation, overcharging, high temperatures, and so much more. This is actually one of the few wireless chargers currently on the market that is able to provide you fast charging capabilities through Quick Charge 2.0 and Quick Charge 3.0 technologies, which does require you to have the necessary power adapter. If you're looking for a wireless charger that takes a more modern approach, this one by TOZO is it. It has a sleek, modern finish that really stands out. One of the nice things about the TOZO Wireless Charger is the LED indicator lights. There are three levels of LEDs, with different colours showing you when the base is ready to charge a phone, when the charging is currently in progress, and when your phone is fully charged. The wireless charger also supports fast charging through Quick Charge 2.0 and 3.0 technologies. That said, just like the Wireless Charging Station, you will need a Qualcomm-certified Quick Charge adapter to make that work. You'll also need to make sure you're using a supported phone -- i.e. one with a recent Qualcomm Snapdragon chip inside. TOZO's Wireless Charger does charge all phones, so long as they have support for Qi charging. The rate of the charging, however, will be determined automatically based on the chipset your phone is using. 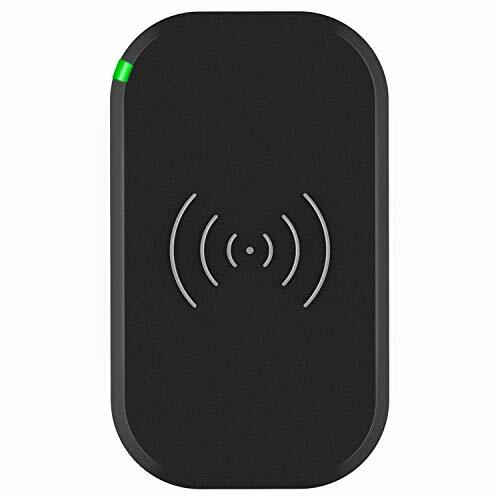 This one is actually a safe and reliable wireless charger, offering you a persistent charge with precautions built into the circuitry, such as temperature control, overcharging control, foreign object protection, and more. TOZO's Wireless Charger won't take up much room on your desk, nightstand, or another surface either. This is because it's actually 5mm thick, which keeps the charger lightweight as well low profile. iOttie's iON is an excellent choice for those looking for not only fast wireless charging, but for something that's fairly easy to travel around with as well. The iON will deliver you fast wireless charging. For iPhone models, you get up to 7.5 watts of fast charging, but for Samsung Galaxy devices, you're looking at north of 10 watts. All other Qi-enabled devices will get a slower five watts, which is around what you would get with regular, traditional charging. It also really is easy to travel with. It's a miniature wireless charger, so it doesn't take up too much space on surfaces, or in the backpack. It can actually fit in your pocket! There's actually a status light indicate on this wireless charger -- a red light indicates that your device isn't charging or isn't compatible, and a white light shows you that charging is in process. Unlike many wireless chargers on the market, the iON is actually available in a number of different colours -- you have Charcoal, Ruby, Ash, and Ivory. These are actually a fairly unique style, since the material is a fabric feel, similar to that of the material on the Amazon Echo, Daydream View, or even on the Surface Laptop. iOttie actually uses USB input for it's charging, which helps deliver faster charging than most wireless chargers. They throw in a two-year warranty with your purchase. If you run into a problem, you can get a replacement hassle-free. We told you about how Qi wireless charging is called inductive charging. The inductive charging coils in the phone take the energy and convert it into electricity for your phone's battery. Well, CHOETECH's Fast Wireless Charger actually uses three coils in the wireless charging pad itself. If you've ever used a wireless charging pad and had trouble positioning your phone right for charging to start, well, you don't have to worry about that in the CHOETECH. This is because three coils gives the CHOETECH a much wider charging area, allowing you to put your phone in almost any position. One of the benefit's to CHOETECH's wireless charger is that it has a non-slip surface, which means your phone will stay in position during the entire charging process. It won't slip off and hit the ground. The wireless charger has some neat artificial intelligence built inside, which works to identify the proper charging mode for the device that you have. If you have a Samsung Galaxy flagship device, it'll automatically start to deliver 10 watts of fast charging power to the smartphone. But, if it detects that you have a Qi-enabled iPhone, it'll deliver the full 7.5 watts that iOS allows the iPhone to wirelessly charge at. This is one of the few chargers on the market that has a case friendly design. Not only does the surface accommodate the need for a larger charging area because of the thickness cases add to the phone. It's actually able to deliver your fastest charge even through a case, at least cases that are up to 5mm in thickness. Like other chargers, metal attachments, such as credit cards, will interfere with charging though. There's a bunch of safety features built inside for maximum electrical protection as well. CHOETECH has an integrated smart chip inside the circuitry that provides the charger with temperature control, surge protection, short-circuit prevention, overheating, overvoltage prevention, and more. Vebach might be one of the more "little known" brands out there right now, but it's actually one of the best. This one is actually Qi-certified, indicating that this is a charger you can rely on. Like some of the others, it has optimized fast charging in this one. That means that it automatically recognizes Samsung Galaxy devices, and delivers 10 watts of fast charging power to those. It delivers the maximum amount of fast charging power to iPhone models as well -- 7.5 watts. For any other device, you're looking at around 5 watts, which is what standard non-Quick Charge charging speeds usually sit at. Keep in mind that, to support fast charging, you will need a Qualcomm-certified power adapter to make that work. Like the others, this has some nice safety features built into the wireless charger. There's an extra chip inside, which gives you access to temperature control, foreign object detection, overcharging protection, radiation shielding, and more. It actually has a pretty nice looking design as well. It has a bright, modern style. There's glass on top, but an anti-slip surface that keeps your smartphone in place. There's a metal ring around the side, which adds a nice appeal to the wireless charger. There's an LED light to indicate charging levels as well. Vebach supports wireless charging through many phone cases as well. However, you might experience more interrupted and sporadic wireless charging if the case is 5mm thick (or o.4-inches). You shouldn't have to worry about the positioning of your phone either. Just set it on the pad, and charging should begin instantly -- no fiddling around with phone orientation needed. The nice thing about this one is that you're perfectly free to try out. If you don't like, Vebach offers you a 45-day money back guarantee, so long the product is in perfect or near perfect condition. On top of that, you get a 2-year warranty card to keep you protected against defects. Most wireless chargers on the market are for single devices. You can only charge one Qi-compatible handset at a time, which can be annoying if you have multiple devices in the home that all support Qi wireless charging. Finding something that can charge multiple devices at once can be a little difficult. Apple was going to launch something like that, but that ended up falling through. That said, folks might want to take a look at the IKEA Nordmärke, which actually has four spots where you can charge up to four devices. The devices, of course, have to have Qi wireless charging built-in; however, the Nordmärke will work with folks who have wireless charging cases on their phones as well, though the charging may not be as fast as normal Qi-support. This wireless charger doesn't support fast charging. It keeps things at a normal 5 watts. It's actually 5 watts per phone on the wireless charger, so you get a sort of 4x5 watt setup. This is generally traditional level charging speeds, so you should get speeds that are similar to, say, USB-C charging. Keep in mind that, on the IKEA Nordmärke, if you set a device on it that is completely dead, it may take a couple of minutes for charging to begin. IKEA says that this is completely normal, and you'll know when your device(s) begin charging, as the charging battery icon will appear on the phone's display. There's actually a USB port that's on this charger, which is where the fourth charging position comes from. That itself isn't wireless charging, but it does allow you to keep all of your phones in one single place. IKEA of course has all of the necessary charging safety standards to keep your phone(s) safe during the wireless charging process. You will have protection against overcharging, voltage spikes, temperature control, and more. If you're looking for a wireless charging pad that can accommodate multiple gadgets, you cannot go wrong with this option from IKEA. The Google Pixel Stand might actually be one of the most unique wireless chargers on our list. Unlike the option from IKEA, you can only charge up a single device at a time; however, it takes wireless charging and a docking station to new levels. We don't mean that it's a docking station in the traditional sense, as this really is a stand. You set your Qi-compatible device on it, and charging begins immediately. However, what it does while your device is charging is what makes it unique. You're actually given a couple of different options that you can enable for during the charging process. For one, while your device is charging on the stand -- and as long as it supports Google Assistant -- you can have a slideshow of your favorite photos or albums playing. If you have a Nest camera out at your front door, while your device is charging, you can actually set it up so that the video feed streams right to your phone upon the detection of a motion, such as knocking at a door. You can also have the Google Pixel Stand run through your favorite playlist or albums while charging as well. You'll need a Pixel 3 or device that supports Google Assistant to do this, but this can be some nice automation for, say, providing you music while cooking in the kitchen, or for starting up a party. The Google Pixel Stand also works with your phone to wake you up naturally. Minutes before your alarm goes off, the Pixel Stand turns on ambient lighting that mimics the sun on your phone so that you can wake up naturally, ideally before the alarm. Once you wake up, Google Assistant will provide you with a bunch of information that you need to know about your day, such as your event schedule, traffic information, breaking news, and other personalized information. The Pixel Stand also helps you get to sleep by turning on a Do Not Disturb mode. It silences your phone, and helps you disconnect from the Internet in order to obtain a good night's sleep. As you can imagine, the Pixel Stand has a bunch of safety features built in via an integrated chip, which keeps whatever phone you have on there protected from any potential electrical problems. The wireless charger provides fast 10 watt charging for the Pixel 3 and Pixel 3 XL, and possibly the Samsung Galaxy flagships, but it will provide other Qi phones with regular 5 watt charging power. Any Qi phone will work with the Pixel Stand, but they will require Google Assistant in order to use those extra features that the Pixel Stand has. If you haven't heard of Mophie before, you might be living under a rock. It was founded originally in 2005, and got much of its success by making charging cases for the iPhone. That said, Mophie for years has established itself as a dominant company in the power products industry, which is why they can be trusted with one of the latest inventions: the Charge Stream Mini wireless charger. Working on the Qi platform, the Charge Stream Mini works as an excellent charger for both the iPhone and a variety of Android phones on the market -- essentially anything that supports those Qi charging capabilities. There isn't any mention of fast charging inside the Charge Stream Mini, which means you're going to be using the standard 5-watt charge. One of the highlights of the Charge Stream Mini is its low profile design. There are few wireless chargers out there that are easy to travel with, but the Charge Stream Mini takes so little space that you can easily throw it in the backpack or in your pocket, and head off where you need to be. There's no delay with the Charge Stream Mini either -- set your Qi-supported phone on the wireless charger, and then charging will start almost instantly. You don't have to worry about keeping an eye on your phone either. With an anti-slip grip surface, your phone will stay firmly in place, and won't be sliding off of nightstands or tables during charging. The Charge Stream Mini is another one that can charge through lightweight cases up to 3mm thick; however, you may have trouble charging up a phone with, say, an Otterbox Defender on it. Keep in mind that this one doesn't come with an AC adapter; however, it does come with the necessary cable. The Twelve South PowerPic is a wireless charger that is a cross between your traditional picture frame and a wireless charging stand. It's a standard 5x7 picture frame made out of New Zealand pine. 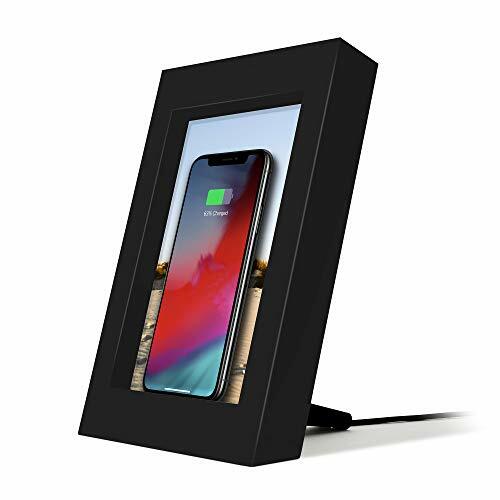 You can put your picture of choice in the frame; however, when you want to charge up your smartphone, you simply set it against the glass. 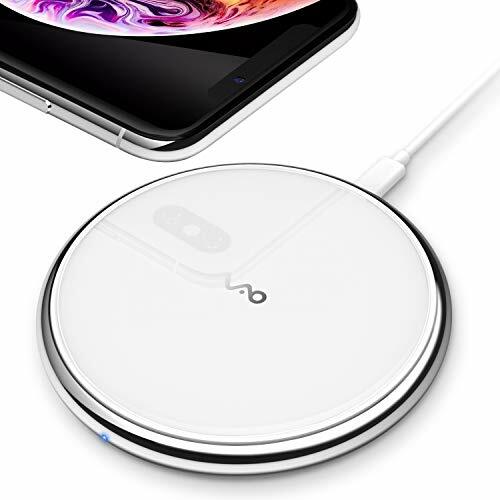 This one is actually a Q-certified wireless charger, which is able to provide up to 10 watts of fast charging power for supported smartphones -- i.e. your Samsung Galaxy devices and all of the new iPhone models. This wireless charger can charge devices through lightweight cases as well, at least up to 3mm in thickness. However, there's a height limit on the phone that the PowerPic can charge. This is because your phone has to rest against the glass of the picture frame,which sits between the frame of the picture. That said, phones up to 6.5-inches tall can only fit in this frame. 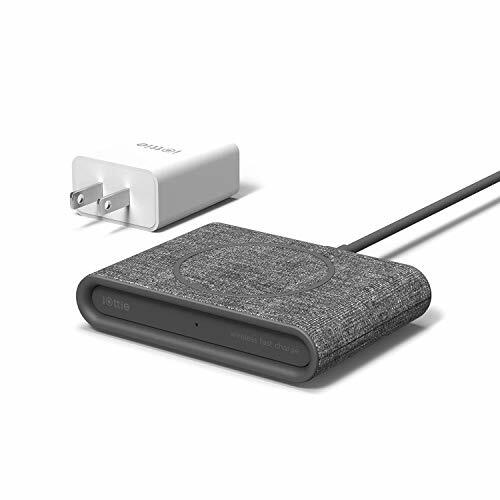 The Twelve South PowerPic has a number of safety charging features inside the wireless charger. There's your standard overcharging protection, temperature control, voltage protection, but what might be the most impressive is the foreign object detection. A powered status light appears to let you know if a foreign object is preventing charging capabilities. This one comes in two colors -- either Black or White -- and can blend in with most environments. We've already showed you how excellent the Belkin Boost Up Wireless Charging Pad is, but what might be even better is their Wireless Charging Stand. Charging Pads typically provide you with a whole lot less versatility when it comes to work, requiring you to interrupt charging when you need to use your phone. With the Belkin Boost Up Wireless Charging Stand, you can simply set this up right next to your computer on your desk or in the kitchen, set your phone up on the stand, and charging begins immediately. Because of the orientation of the stand, you never actually have to pick it up and interrupt charging. One of the nice things about this stand is that it operates on 10 watts of charging power. 10 watts is generally considered fast charging for wireless chargers, which juices up phones that support that type of fast wireless charging really quick. The Belkin Boost Up is actually pretty unique in terms of the warranty provides. You actually get a whole 3-years of protection against defects and problems. The neat thing about this Charging Stand from Belkin is that you can choose to use it in portrait or landscape mode. Landscape mode is nice in particular because of the ability to watch videos while you charge. You can pick a color to use with the Belkin Boost Up. There are actually two total options -- white and black. There is a Rose Gold color, but if you choose that, they ship you a wireless charging pad instead of the wireless charging stand. The Belkin Boost Up Wireless Charging Stand is one of the more unique choices out there because they actually ship an AC adapter and cable to use with it. The Mophie Wireless Charging Base is an excellent choice for those that are looking for some a step above the no-name brands founds often on Amazon, eBay, and other online retailers. As we already told you when it comes to the Charge Stream Mini, Mophie is a well known and respected brand that you can trust to bring you excellence in charging products. Mophie is a leader in power products, and therefore, there's an integrated chip inside the wireless charger that brings you protection against things like over charging, voltage spikes, temperature control, foreign object protection, and more. Set an iPhone or a Qi-compatible phone on the Mophie Wireless Charging Base, and charging begins on contact. If you're running an iPhone, you should have no problem getting fast 7.5 watt charging power out of this base. It's a little larger than the Charge Stream Mini, but it's still overall pretty small, which makes it easy to travel around with. It does have a nice all-around TPU coating on top, which prevents your phone from sliding off and falling off the desk, counter, or nightstand during the charging process. The one downside to the Mophie Wireless Charging Base is that it has a proprietary cable. It comes with the necessary AC adapter; however, if you were to ever lose the cable, it's a little more expensive to replace than normal. The Mophie Wireless Charging Base comes in just one color -- Black -- and you can only get it from Apple. The Mophie Charge Stream Pad+ has a lot of similarities to the Mophie Wireless Charging Base, but it does improve on a couple of different area. And one of those is in the charging cable for the wireless charger itself. This wireless charger actually uses a micro-USB cable to provide power to the wireless charger. That's a whole lot easier (and cheaper) to replace! The nice thing about this wireless charger is that you still get 10 watts of charging power. That means you get fast charging power delivered to most Qi-enabled smartphones. However, some devices that don't support fast charging might see slower charges at around 5 watts. This one is able to charge through lightweight cases up to 3mm in thickness; however, you may want to watch out for cases that have metal in them, as you won't get a wireless charge at all. This pad also won't be able to charge through things like credit and debit cards that are stored in the back of wallet cases. Like the Mophie Wireless Charging Base, the Charge Stream Pad+ also has a 360-degree TPU coating that prevents your phone from slipping off the wireless charging pad. You don't have to worry about any electrical issues with this wireless charging pad either. This one provides you with safe and worry-free charging, meaning you won't run into issues with voltage spikes, overcharging problems, temperature control, and more. One of the benefits to picking up a Mophie Charge Stream Pad+ is that this one is offered in one more color option. You can get in in Black or White, and both pretty easily blend into the office or home. And as per the norm, Mophie offers a manufacturer warranty to keep you protected against any defects that might arise because of the manufacturing and delivery process. 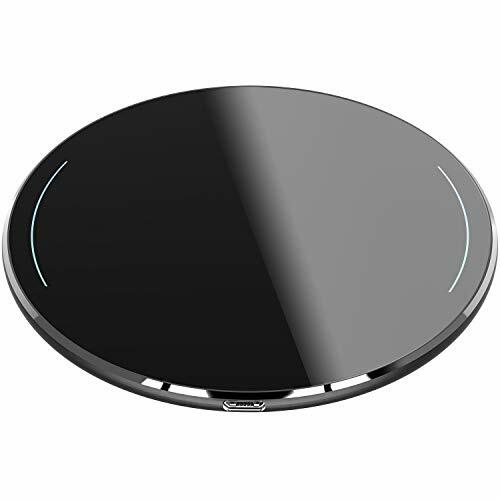 If you're looking for a wireless charger that can bring you some of the best fast charging on the market today, look no further than Incipio's own GHOST Qi wireless charger. Few wireless chargers on the market right now are able to deliver more than 10 watts of charging power; however, Incipio bursts through this ceiling and delivers a whopping 15 watts of charging power to Qi-compatible smartphones. Now, it is one of the pricier wireless chargers out there, but that's because Incipio is on the cutting edge of wireless charging technology here. Keep in mind that Qi-supported devices do have to support fast charging to get that full 15 watts of power. It does have an LED indicator that notifies you when your device begins charging as well as an LED light for the charging base being in use. This one is only available in Black, and it does run fairly hot, despite the cooling fans inside -- though that is to be expected when it's delivering three times the amount of charging power than standard 5 watt chargers. This one does include a wall adapter, so you won't have to worry about purchasing any extras to get the Incipio Ghost Qi charger working. Incipio does throw in a one-year warranty for free for those that want a little extra protection. If you've heard the name Spigen before, it's because they are a very prominent band as far as phone cases go. However, the company is involved in other area of phone accessories as well, and one of those is wireless charging. Enter, the Essential F301W. This wireless charger will bring you safe and wireless charging to any Qi-supported smartphone. This one alsos upports fast charging, delivering quick charging to flagship phones like the Samsung Galaxy line as well as all of the new iPhones (iPhone models all the way down to the iPhone 8 support wireless charging). In testing, the Spigen Essential actually provides quicker charging to the iPhone than it does the Samsung Galaxy phones. This could be because of optimizations actually made in the iOS software, but do keep that in mind when choosing your wireless charger. As per the norm, you won't be able to use super thick cases with this wireless charger. Cases up to around 3mm in thickness should do just fine. You'll also want to avoid most wallet cases that hold cards in the back of the case, as credit and debit cards interfere with and are bad for wireless charging. Spigen also says that this one specifically won't work with the Spigen Crystal Wallet, Slim Armor CS, and Wallet S case. Spigen doesn't include a charging AC adapter in this one, which means you'll need to pick one up yourself to go with this. Spigen says that you should grab a 10 watt wall adapter for fast charging, which any Qualcomm-certified Quick Charge 2.0 or Quick Charge 3.0 charger should work for that. There is an LED light to indicate active charging, and Spigen does throw in a number of safety features for temperature control and to prevent things like over charging and voltage spikes. Spigen throws in a manufacturer warranty with your purchase, and offers this wireless charging pad in either Black or White. We're a big fan of the wireless charger from Satechi as well. One of the areas that makes this one unique is that it's made out of aluminum, bringing with it a premium construction and high-end feel. It actually has diamond-cut chamfered edges as well. If you're looking for sleek and stylish wireless charging, this option from Satechi will be right up your alley. Satechi says this one supports fast charging, allowing you to get a 1.4x faster charge than other wireless chargers on the market right now. Normally, devices that don't support fast charging are charged at a 5-watt rate; however, Satechi doesn't offer actual numbers in terms of the wattage rate of fast charging. However, a good guesstimate would sit at around 9-10 watts for Android fast charging, and 7.5 watts for iOS charging. You can tell if your device is fast charging on the Satechi charger because an LED light will appear, indicating that the fast charging mode is active. The LED light will stay off if it isn't, and will provide a normal charge at that point. It's worth noting that this is different from the blue LED light, which indicates charging is in process, and the green LED light, which indicates charging is done. For fast charging to work, you will need to be using the proper adapter. Any Qualcomm-certified Quick Charge 2.0 or 3.0 adapter should work just fine here. If you use anything other than that, you'll be staying at the normal 5 watt charge now matter what phone you put on the charger. It has an ultra-slim design, which makes it compact enough to fit in any room or place at work. The NOOMAD Wireless Hub is one of the best that you can buy for wireless charging because it can actually charge up to five different devices at once. You can only charge one at a time on the wireless pad itself; however, there are actually four USB ports underneath the wireless charging pad, which you can use to charge four up to an additional four additional devices by wire. One of the nice things about this Wireless Hub setup is that NOMAD has designed it so that you have a clean, cable-routing setup. There's a nice cable routing passage on the backside of the Wireless Hub, which keeps all of the wires neatly together -- including the power cable -- so that you don't have any clutter on your desk. The base of NOMAD's Wireless Hub has a rubber ring around it, which keeps the wireless charging pad firmly in place. On top of that, there's a non-slip surface, which keeps your phone firmly in place as well. NOMAD has a number of LED indicates on the wireless charging hub as well. The LED lights turn orange when device charging is in progress, and then white when charging is complete. NOMAD has also taken into consideration those who use the wireless charger on their nightstand while sleeping -- there are actually ambient light sensors that detect when the room is dark, and then adjusts the brightness of the lights accordingly. NOMAD seems to have though of almost everything here. Of course, NOMAD has also made this wireless charging hub fast. For the top wireless charging, you can get a charge of up to 7.5 watts of power out of this. One of the USB ports -- a USB-C port underneath -- is able to charge at a fast 3 amps. There's a USB-A port for fast charging at 2.1 amps for another phone or tablet. Then, you have an additional two USB-A ports, which have a rate of 1 amp, which are for your AirPods or Apple Watch, or any other low-power device. One other neat thing the Hub can do -- you can actually use the top as a surface to set any item on. Wireless charging power only emits or activates when a phone is on top, so you could safely set your wallet or keys on top of it when you aren't using it as well. And, of course, NOMAD throws in a manufacturer warranty to keep you protected against defects and other problems that might arise during your use of the Hub. We've shown you a lot of wireless chargers that look pretty similar to each other so far. However, the TYLT Orb is an extremely unique looking option, giving you a spherical appearance. Charging is a little bit of a mixed bird in the TYLT Orb. That's because you get regular 5 watt charging with most Qi compatible smartphones on the market today; however, the TYLT Orb is able to provide you with up to 9 watts of fast charging for Samsung Galaxy devices. It also works with all of the Qi-supported iPhone models, in which you should get 7.5 watts of fast charging power. The one downside to this wireless charger is that it does have a pretty slippery surface. There's no mention of a rubber TPU coating that keeps devices firmly in place. That said, if you don't place your smartphone on the wireless charging pad correctly, you may find it occasionally sliding off if you're not careful. It does have a fairly minimalist and sleek design, which makes this wireless charger attractive for most home and work environments. 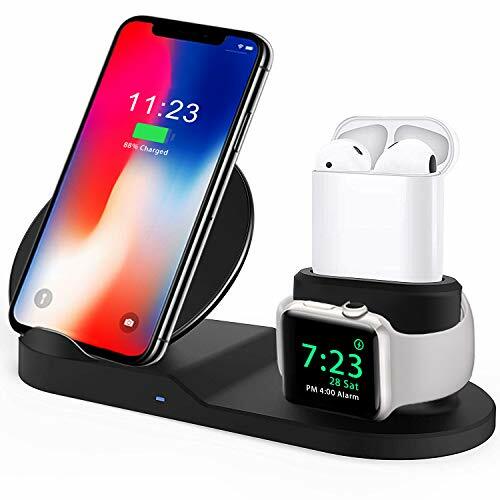 It has a fairly slim profile as well, which makes it easy to place on the desk, nightstand, or kitchen counter without taking up a whole lot of space. It does have an LED strip around the charger that indicates your device is charging and when it's done charging. Unique to many of the other options on our list, the LED light is actually extremely bright, which can be frustrating when trying to sleep or for watching a movie in a dark room. TYLT does have a number of safety charging features inside the Orb, which keeps any Qi-compatible smartphone protected from overcharging, overvoltage, temperature control, and more. TYLT does throw in a manufacturer warranty to keep you protected from any defects that might appear within a one-year period. We definitely have this one at the bottom of our list on the best wireless charger to try, primarily because of its slippery wireless charging surface, as well as that bright LED. We've shown you just about everything you need to know about wireless chargers at home or at work. We've even showed you twenty three of the best wireless chargers for iPhone and Android phones. However, what about wireless chargers that you can use in your car? Is that even possible? The answer is yes! Wireless charging works excellent in cars. It's a little more difficult to setup, but you can actually get similar charging speeds that you would find in traditional wireless charging pads at home or at work. And don't worry -- wireless charging setups for cars are just as affordable as wireless chargers for at-home or at-work use. Is Wireless Car Charging Slow? It's worth noting that wireless car charging can be slower. Wireless car chargers that offer an unrestricted wattage output tend to make your smartphone and wireless charger extremely hot. We're talking dangerously close to harming your phone or charger hot. That said, many wireless car chargers put a blockade on how fast or how much wattage can be output. That said, you're definitely going to see slower wireless charging in the car, at least for some wireless chargers. Instead, most wireless car chargers on the market today work to provide a reasonable car charge. That said, you'll likely see anywhere between 3% battery charges per hour to 15% battery charges per hour. If you want to make sure that you're getting ridiculously fast charging rates in the car, you'll definitely want to stick with traditional car chargers, as for the time being, they're much safer when it comes to quick charging technologies at that rate. If you're looking for the best wireless charger for your car, iOttie's Easy One Touch can charge your device up with speeds that are similar to Qualcomm's Quick Charge. You'll be able to charge your favorite Samsung Galaxy devices -- as well as all of the latest iPhone models -- at fast wireless charging speeds, even while you're in the car. This option from iOttie is actually pretty versatile. You can choose to setup on your dashboard with an adjustable arm, or you can use the suction cup to attach it to your vehicle's windshield. Whatever is the most comfortable position for you! It is worth noting that the wireless car charger doesn't hold well on dashboards that are leather, and so, your windshield would definitely be the more durable option. iOttie's Wireless Car Charger actually has a telescopic arm, which allows you to use the charger is landscape or portrait mode. One of the nice things about this wireless car charger is that it has a one touch lock and unlock system. Set your phone in the cradle, press down, and the mechanism automatically locks the phone so that your device stays safe while driving around town or in rural areas -- you can press down again to unlock the phone. iOttie's Easy One Touch also has plenty of ventilation, which keeps both the car charger and your phone cool. Of course, there's a number of safety charging features that keep your phone safe from ridiculous temperature increase, over charging, voltage spikes, and a whole lot more. To add to that safety, iOttie throws in one-year hassle free warranty in the event of any defects. And finally, we have the Wireless Car Charger Mount by andobil. It takes on a similar design to the iOttie with its own one touch unlock and lock system. Press down on the cradle with your phone, and the car charger automatically locks your phone in place. Press backwards, and it unlocks the phone for you to freely take out of position. One of the unique aspects to the andobil is that it works with most cases, even a few that thicker than 3mm. That means you don't have to mess around with your phone before charging -- simply set it in the cradle, and charging begins immediately. On the downside, andobil says that this one won't charge through some of the more rugged cases -- so you won't be charging through something like an Otterbox Defender with this charger. The andobil Wireless Car Charger Mount can be used in a number of positions in your car -- you can use set it up on your windshield, dashboard, and even your vents! You should see some pretty quick charging speeds out of this one. This is because andobil provides 10 watts of quick charging power to fast charging supported devices -- this would include the latest iPhone models, as well as your Samsung Galaxy flagship phones. You should see 10 watts of power for the latter, and 7.5 watts for the former, as iOS limits fast charging to 7.5 watts. You'll get normal 5 watt charging for any other Qi-supported phone. You can use this car mount in portrait or landscape positions, for easier viewing access for, say, GPS navigation, or maybe even a FaceTime call. andobil throws in a one-year warranty to keep you protected against defects. You can get a replacement hassle-free for any problem that you run into. That said, this one is a pretty safe investment. And don't worry, andobil puts their wireless chargers through rigorous charging, so your phone is safe with their products. As you can see, there are plenty of excellent wireless chargers on our list. Most of these are leaders in the industry, but there are a couple that are better than all of the rest. First and foremost, we can't help but recommend the Anker Wireless Charging Pad as well as the Anker Wireless Charging Stand. Both offer reliable and quick charging for any Qi-compatible smartphone. If you're looking for something a little more advanced, you might want to try one of the wireless charging pads from Mophie, as well as the Belkin Boost Up Charging Stand and the Samsung Wireless Fast Charger. Those are some of the best that you can buy today; however, while your wireless charging experience may vary based on the smartphone you have, but any wireless charger on our list will work with most Qi-compatible smartphones on the market. What we just mentioned above are some of the best available, though. Do you the best wireless charger in mind? Do you have a wireless charging experience that you'd like to tell us about? Either way, let us know in the comments section below -- we'd love to hear from you and would be more than happy to answer any questions about wireless charging!